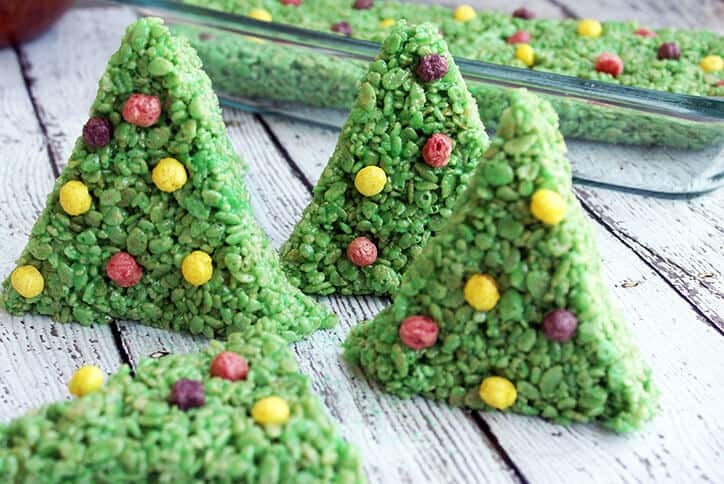 This rice krispy treat recipe makes the cutest Christmas trees ever! 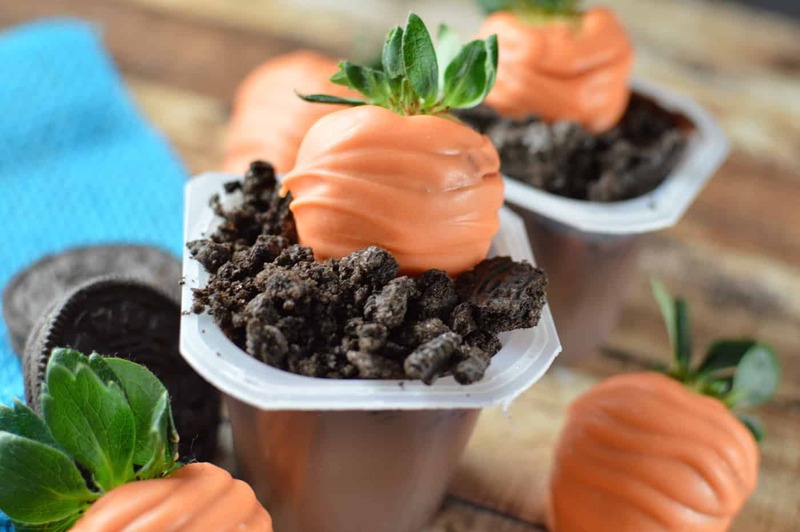 Perfect for the holidays, tasty, and the whole family can join in to make them. 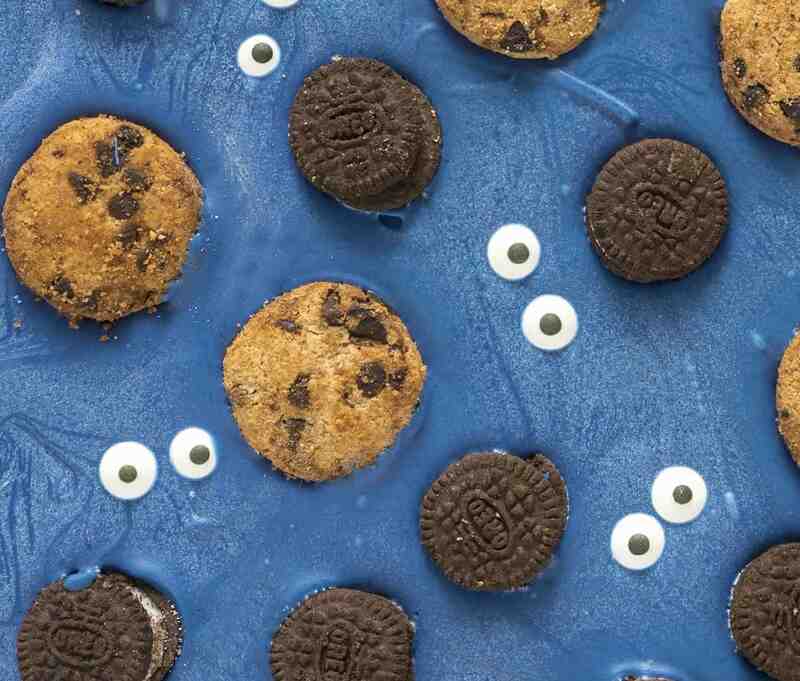 I’m an advocate of playing with my food. 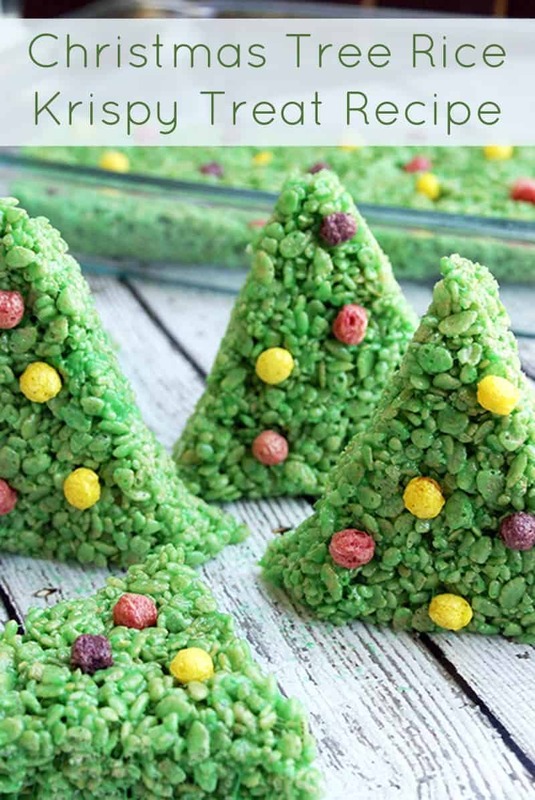 And by that I mean, taking a basic recipe and turning into something fun: especially when it comes to the holidays! 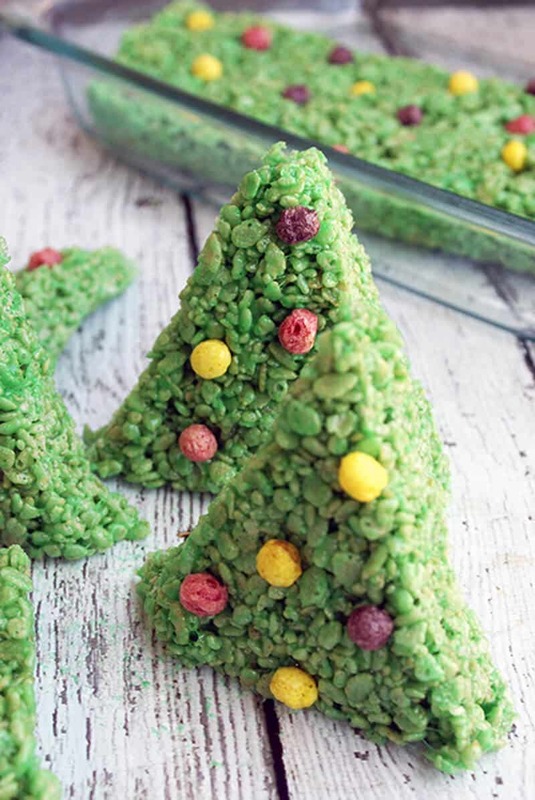 That’s exactly where this Christmas Tree rice krispy treat recipe comes into play. 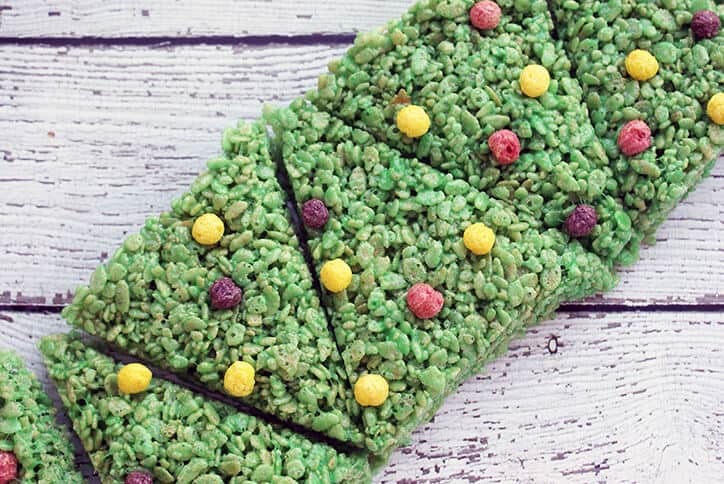 We’re taking the basic krispy treat and making it work for our selfish holiday needs. Aren’t these trees darling? 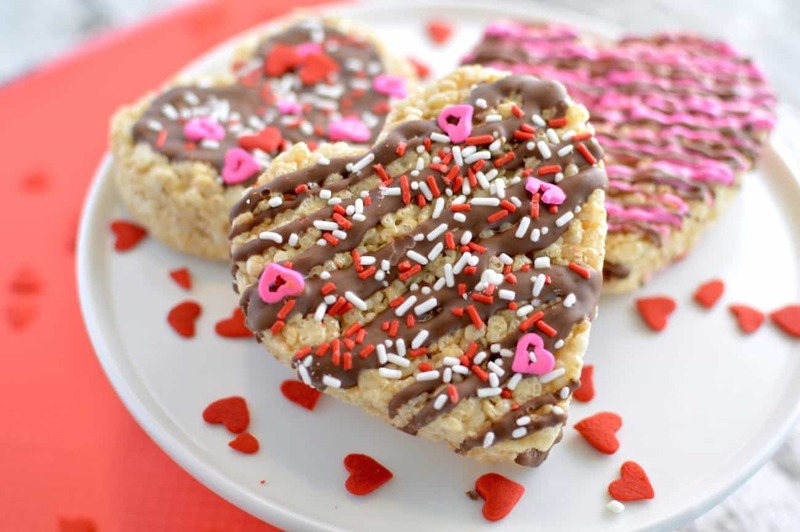 They are no harder to make than your average rice krispy treats (so very easy) and you’ll have a delicious dessert in minutes. 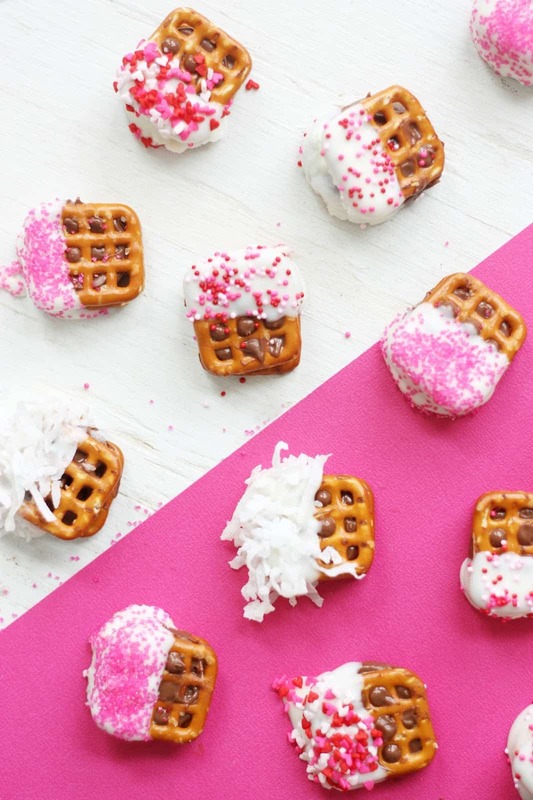 Leave these out for Santa instead of cookies . . . I promise they’ll be gone in the morning! 1. Over a medium low flame in a pot, melt butter. 2. Once butter has fully melted, add in your mini marshmallows and stir until they have melted thoroughly. 3. Pour melted marshmallows into a huge greased bowl (I used Pam). 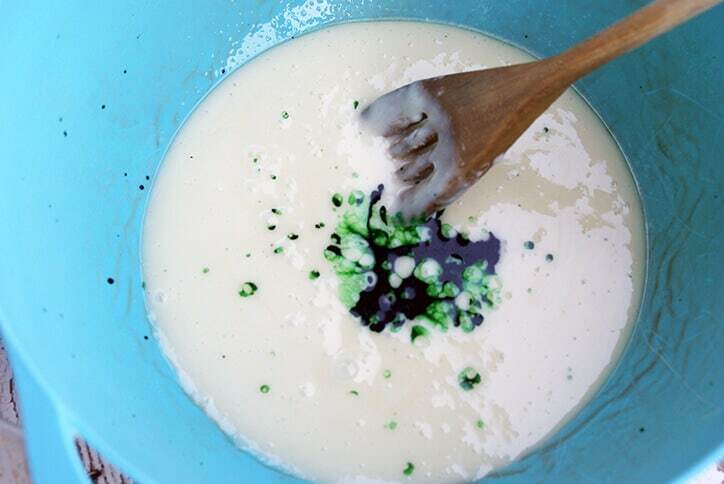 Add in 20 drops of green food coloring and mix well. 4. 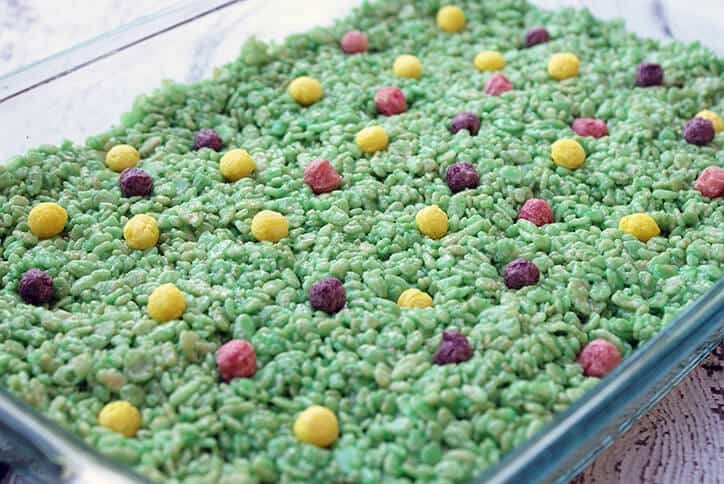 Add in the rice krispy cereal, and stir until well blended. 5. 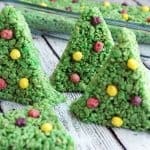 In a greased 9 x 13 pan, pour in rice krispy mixture and add Trix cereal pieces throughout to act as ornaments on the trees. 6. 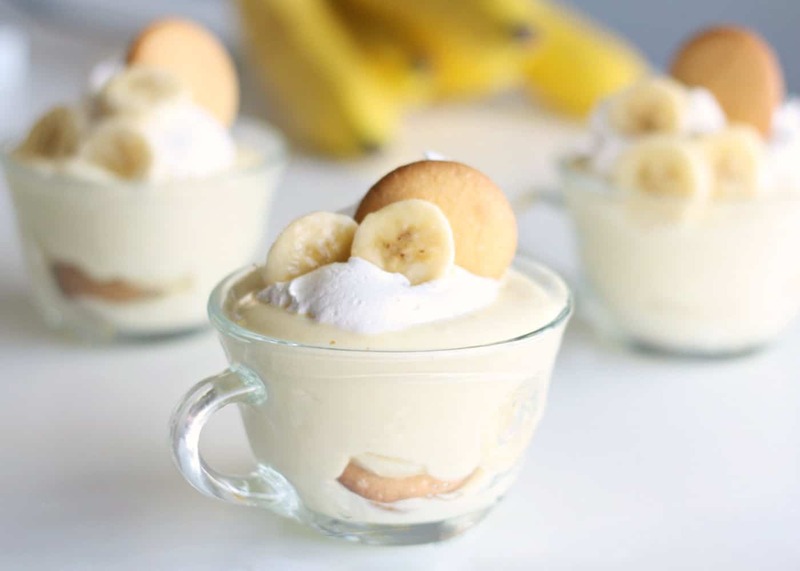 Allow to cool for 20 – 30 minutes in the fridge before cutting. 7. Cut in half lengthwise. Then cut into triangles. There will be 2 tiny odd shaped end pieces. Eat them. you deserve it! Over a medium low flame in a pot, melt butter. Once butter has fully melted, add in your mini marshmallows and stir until they have melted thoroughly. Pour melted marshmallows into a huge greased bowl (I used Pam). 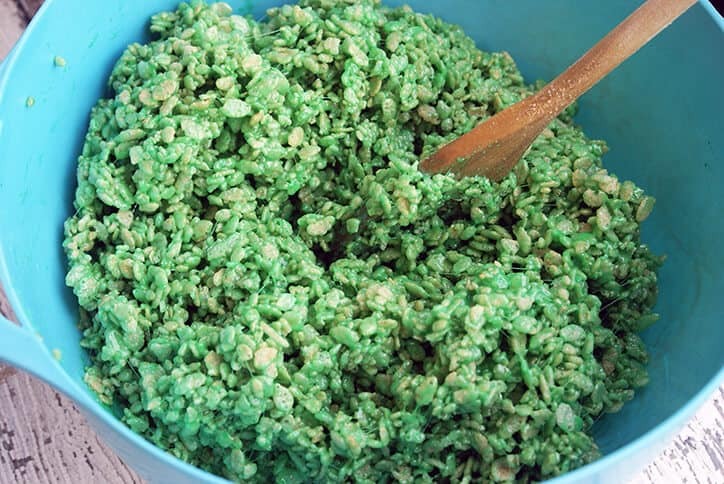 Add in 20 drops of green food color and mix well. Add in the Rice Crispy cereal, and stir until well blended. 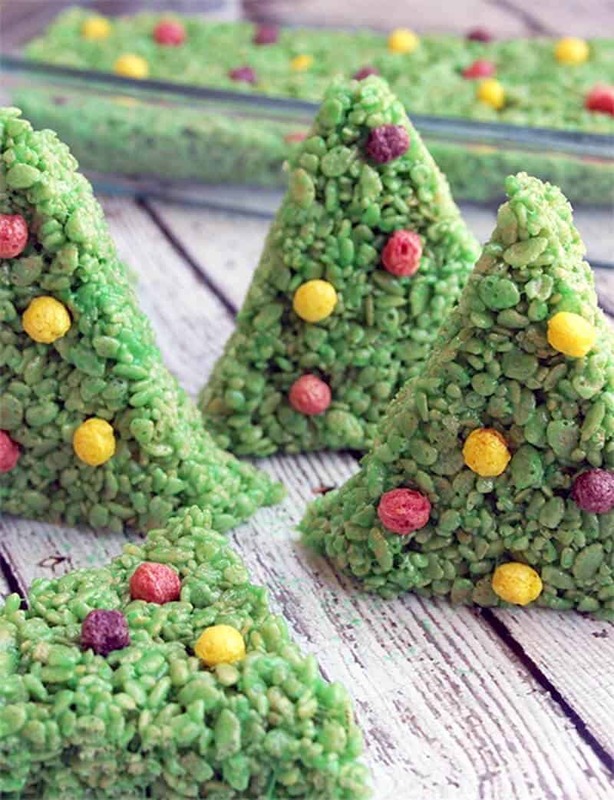 In a greased 9 x 13 pan, pour in Rice Crispy mixture and add Trix cereal pieces throughout to act as ornaments on the trees. Allow to cool for 20 - 30 minutes in the fridge before cutting. Cut in half length wise. Then cut into triangles. Are you ready for Christmas? Check out our holiday crafts section here!